The coolest hippy town around! Back to the 60’s, flower power on the beach. We saw some of the most amazing sunsets of our trip here and also learned to surf! More expensive than a few other places further up the coast, but the waves were perfect for first time surfers. Check out the little pop up market in the centre & any of the multitudes of festivals that go on throughout the year. 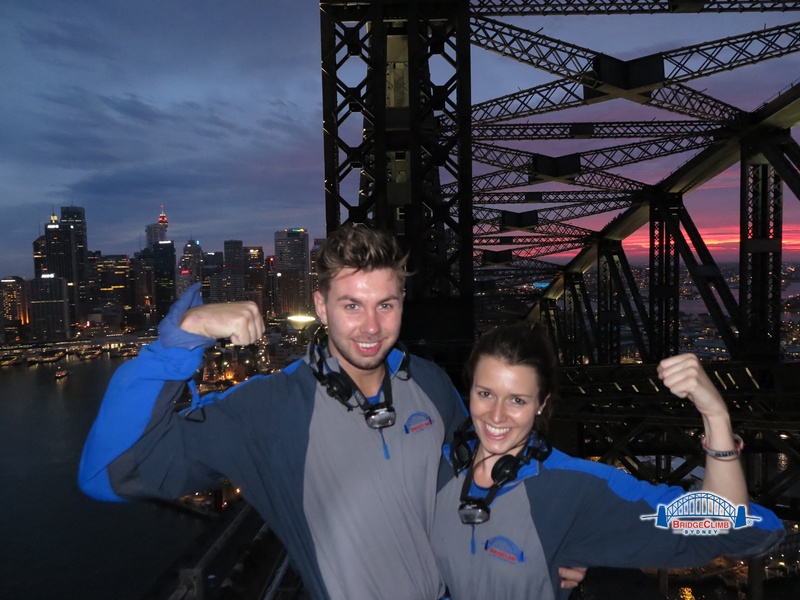 We debated for some time about whether or not to do the Sydney Harbour Bridge climb as at New Year the price was around £250 each. This was way out of our budget!! As we were moving around a lot we waited until fairly last minute to book on which didn’t help, but is likely to be the case for most backpackers. We chose the twilight climb as it was the most cost effective at that moment in time (and we didn’t fancy a 4am slot). We arrived at roughly the half way point as the sun was setting over Sydney which was a totally magical experience. To climb higher and higher as the city lights start to glow around you was incredible in itself, let alone the stunning view of the city. As our walk progressed the sunset extinguished and we made the summit in darkness – and a little rain. We were concerned when booking that the price was high for the length of time the experience lasts. However, we found it was the perfect length, and both said we would pay to do it again in a heartbeat! 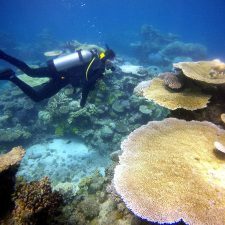 There are so many places in the world you can learn to dive but the Great Barrier Reef has to be one of the most popular, and rightly so! I completed my dive qualifications with Pro Dive Cairns who were amazing! 5 days total of classroom time, pool learning and then a 2 day ‘live-aboard’ on their awesome, fully kitted out scuba boat, to finish off. 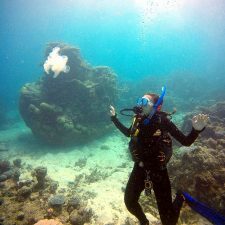 Go with them to meet Brian the HUGE turtle, on night dives & to encounter the biggest, scariest looking fish I have ever seen (plus some beautiful coral)! Brisbane is very under sold to travellers so we only spent a day and a half here but we so wished we had allocated more time. 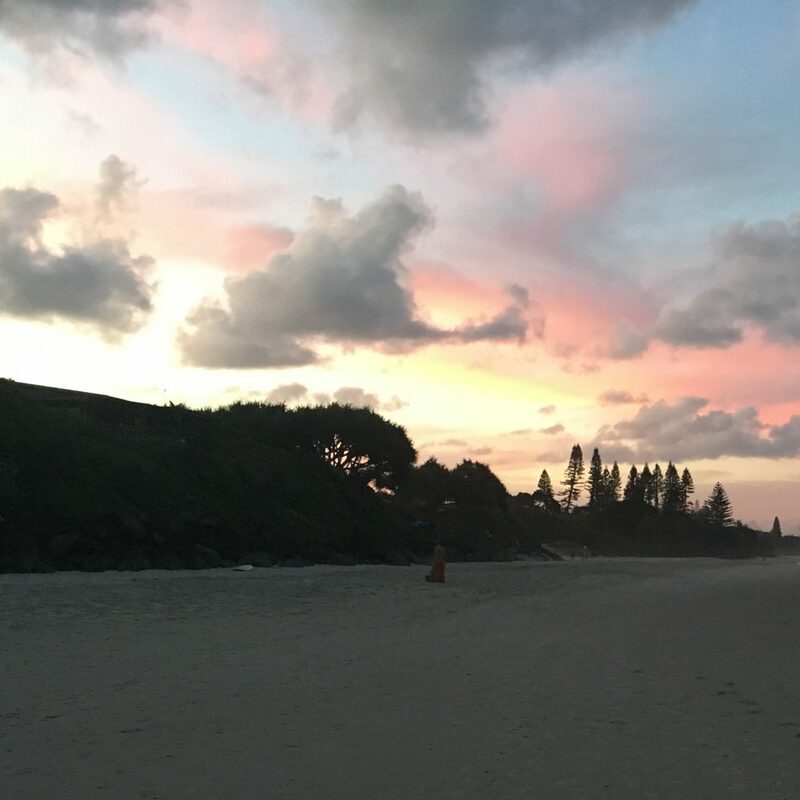 Such a happening city with cool bars and nightlife, an awesome park walk and man-made beach area makes for endless opportunities of ways to while away your day. We also found one of the best yet most affordable hostels we stayed in over the 6 months, particularly in Australia. It is right opposite the train & bus station with a pub on its ground floor that does awesome meals, discounted when you take a room there – what more could you ask for? 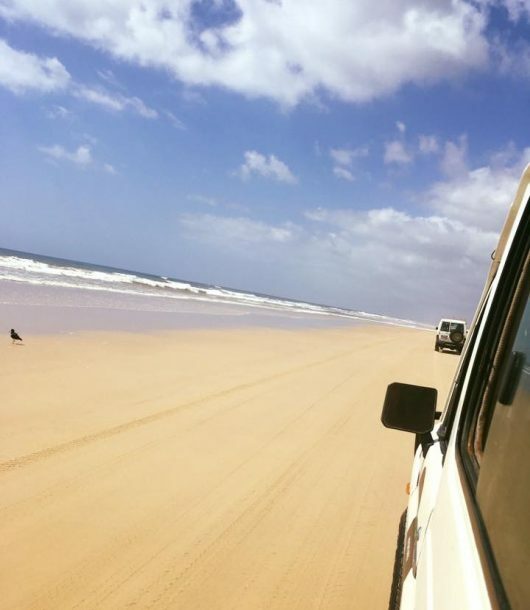 There are several ways to tour Fraser Island, the 2 most popular being by bus or self-drive 4x4s. Hands down I recommend the self-drive! It is scorching hot on the island and being in a smaller group gives you much more flexibility. We met some amazing friends and getting stuck in the sand with the cars was so much fun and gave the trip an extra sense of adventure. You won’t believe the crystal clear waters and the view of the stars in true darkness. Back in the UK, Australia’s fireworks are the first TV coverage of what is soon to become the New Year. They always look great on television and like the display must be quite big. You cannot even begin to imagine just how big! The ‘warm up fireworks’ at 9pm were bigger, brighter and more spectacular than any fireworks I have ever seen. The full display just before midnight to bring in the New Year was absolutely mind blowing. You have never seen anything like it. 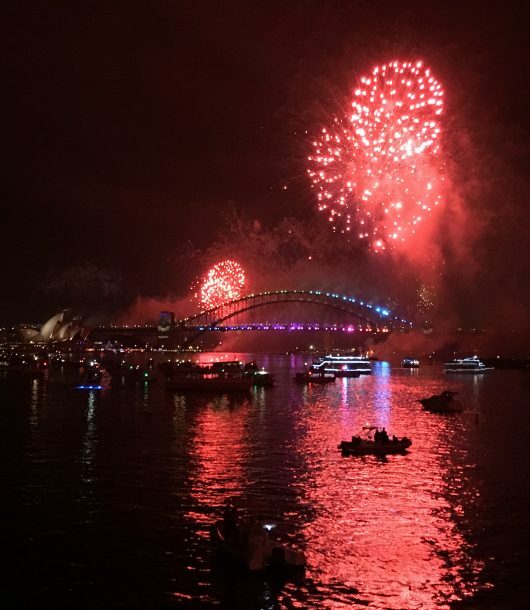 My advice would be plan your trip around New Year time (book accommodation early) and get out in the harbour on one of the many boats that have a flawless view of the evening’s displays. Welcome to the Anaconda II. 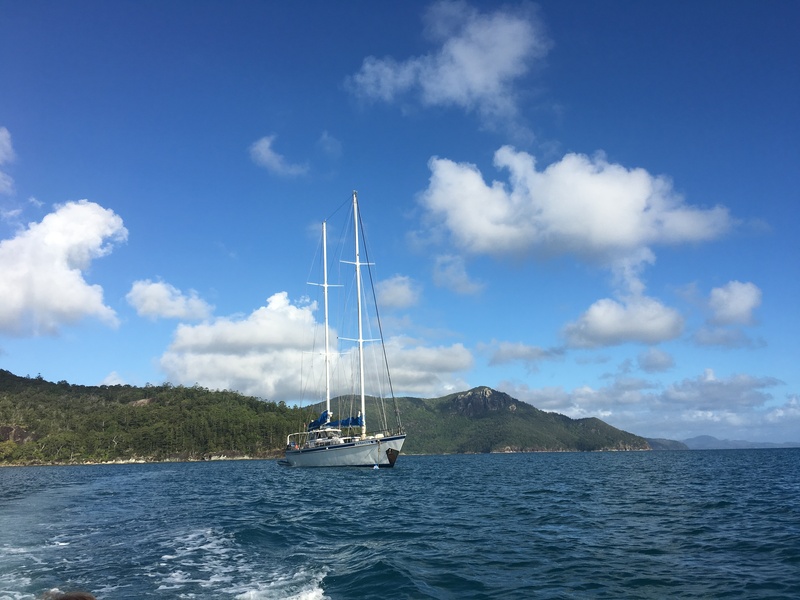 One of many boats available, that we chose to tour the Whitsunday’s Islands. Such a comprehensive tour of the area with masses of snorkelling and diving available for those qualified. Visit the famous Whitehaven Beach at sunrise followed by mooring near the beach to feel the pure silica sand. We were even lucky enough that a whale shark swan right up to the back of the boat! There are party boats and boats with varying degrees of luxury. We were on a budget and found the Anaconda II comfortable enough, with a fun young crew and other travellers plus a great itinerary. I would definitely recommend it to other travellers.